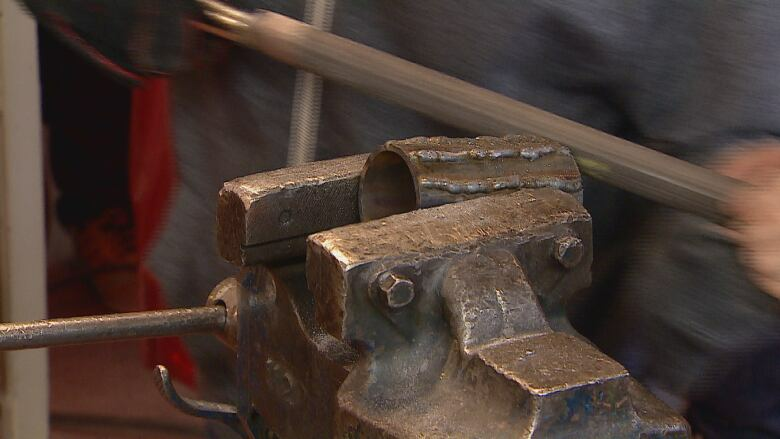 Kids from across the city are heating things up at a free program that encourages kids to pursue a future in the trades. Teenagers from across the city are heating things up at a free summer welding program that encourages kids to pursue a career in the trades. Twenty junior high students from the Calgary Catholic School District are learning the trade from professionals at the Mind over Metal camp this week. "Some of the stuff that we weld is pretty complicated, but it's pretty adventurous and pretty fun," said Raeghan McKinnon. Just one of two girls in the week-long program, McKinnon spent Wednesday welding an axe and stump with a plasma welder and a MIG welder. The 14-year-old said she's eager to work in the trades and thought this would be a great opportunity to test the fit. 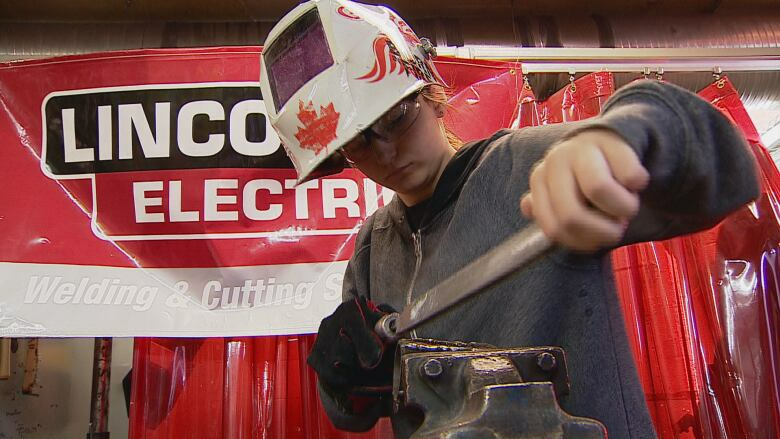 She wants to encourage other girls her age to imagine a future for themselves in the trades. "From what I've heard from a lot of people so far that have come to us, is that they've been doing their job for years, and they still love it." 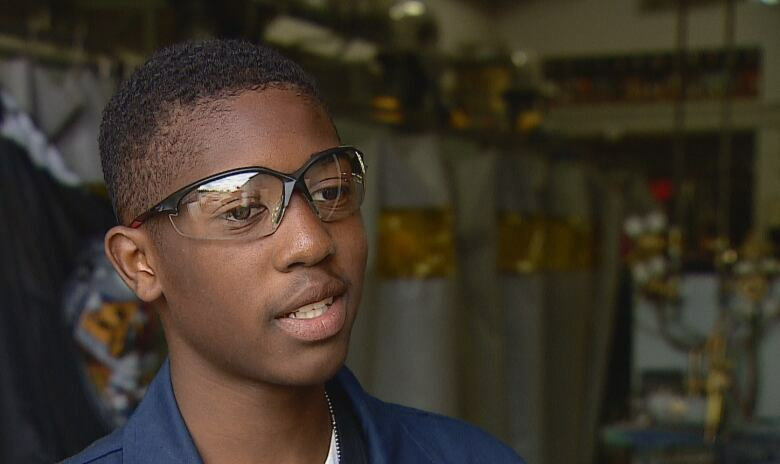 Ashari Edwards, 15, said this experience could turn into a job down the line. "Instead of just staying home all summer, you can come out here and learn something," he said. "You can use this in the future, and plus you can also earn credits for high school by doing this." 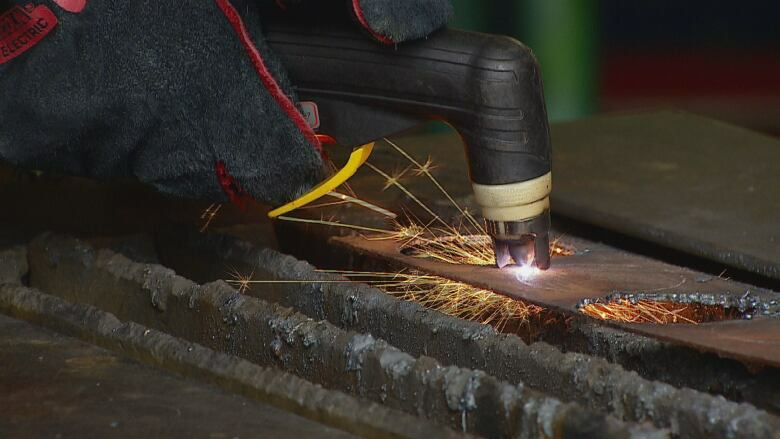 Stephan Deloof, an industrial education teacher at Bishop O'Byrne and volunteer instructor at the camp, said professional welders are still finding work, despite the downturn in oil and gas. "The important part here is to know that Alberta, even though it has slowed down quite radically, they are switching now," he said. "The construction is picking up. The welders are able to switch from oil and gas to more construction, infrastructure or maintenance. That's why they're still working," Deloof added. "Sure, it's not as booming as it used to be ... but there's still work for the people that wanna work in the industry." Even if students don't choose a career in the trades, this program can help them broaden their idea of what kinds of jobs are out there, and can help them build their confidence, said Norm Martin, principal of St. Anne Academic Centre. "It gears students towards a skill set they maybe never thought about before," Martin said. "They are constructing one or two projects a day. They're going home as well as feeling the satisfaction of having accomplished something."